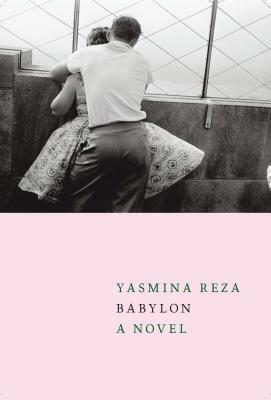 Playwright and novelist Yasmina Reza’s books have been translated into more than thirty-five languages. Her play ‘Art’ was the first translated play to win a Tony Award; Conversations After a Burial, The Unexpected Man, and Life X 3 have all been award-winning critical and commercial successes internationally; and God of Carnage, which also won a Tony Award, was made into a film directed by Roman Polanski with Jodie Foster, Kate Winslet, and John C. Reilly. Her play Bella Figura premiered in Germany in May 2015. Her fiction includes Hammerklavier, Desolation, and Adam Haberberg. Her last novel to appear in English was Happy Are the Happy, published by Other Press in 2015. She lives in Paris. A longtime fiction editor at the New Yorker magazine, Linda Asher has translated Victor Hugo, Balzac, Simenon, Kundera, and many other writers. She has been awarded the Scott Moncrieff, the Deems Taylor, and the French-American/Florence Gould translation prizes, and is a Chevalier of the Order of Arts and Letters of the French Republic.